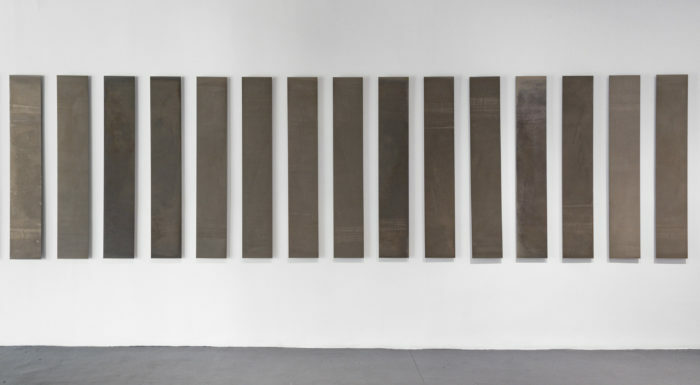 Liz Deschenes’ current show at Miguel Abreu–both of them–is titled, Rates (Frames per Second). Deschenes’ series of photograms relate to the chronophotographic studies of motion of Étienne-Jules Marey. 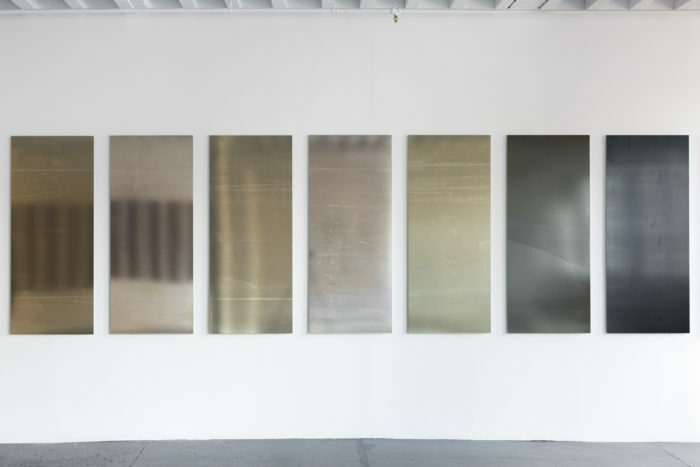 The variously reflective texture of the photosensitive paper on display, coupled as the show unfolds with the widening individual panels comprising the works, affords a subtle sensation of gradual embodiment. It’s interesting that the installation apparently culminates in the human-scale panels, because I assume you have to walk back out of the gallery, too. In any case, they look gorgeous as usual, and the variations of widest ones even look baroque, relatively speaking, of course.